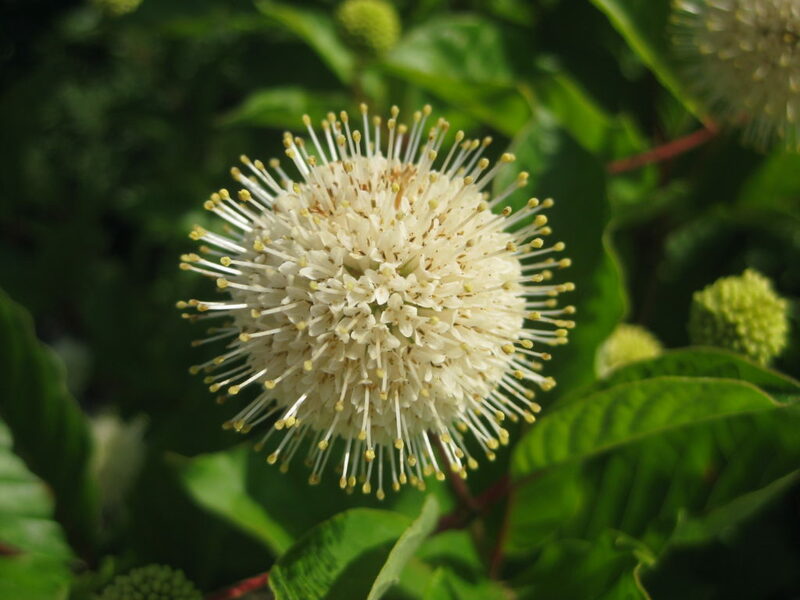 A shrub that I continue to promote in our area is the North American native buttonbush (Cephalanthus occidentalis) featured throughout this blog. 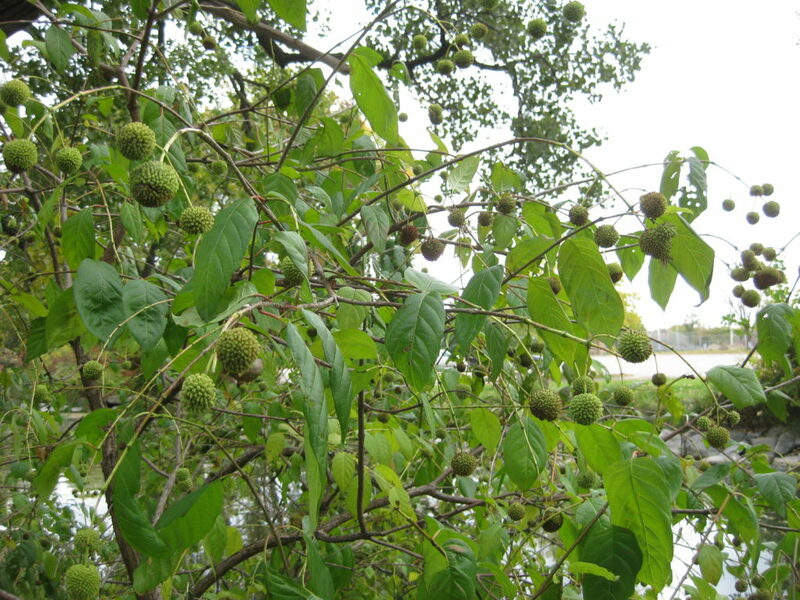 Oddly enough I first saw this plant as a child in the wetlands of upstate New York where my grandparents lived. I vividly remember seeing the interesting blooms (above and below) on these large shrubs that were near my grandparents summer camp. They were thriving in a wet location that frequently had standing water. 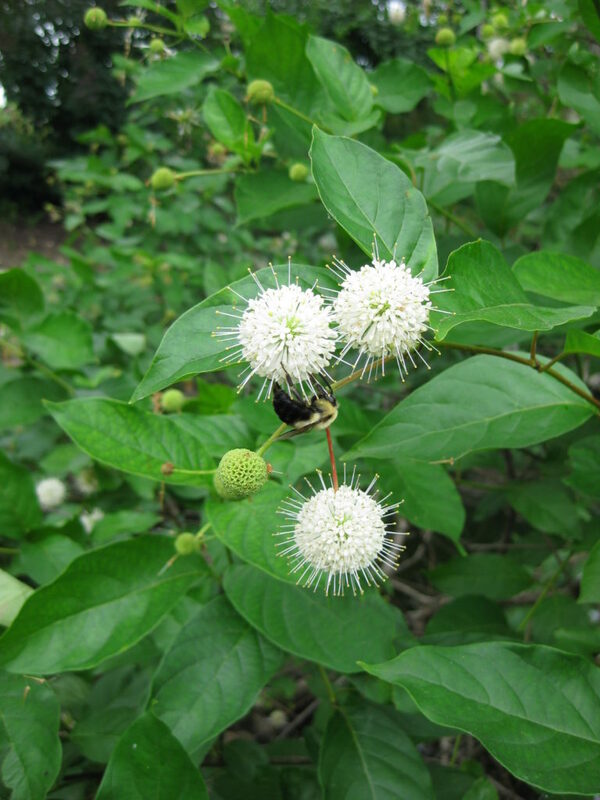 That’s exactly what buttonbush (also called button-willow, honey bush and honey balls) prefers and they are frequently used in rain gardens and along wet edges. 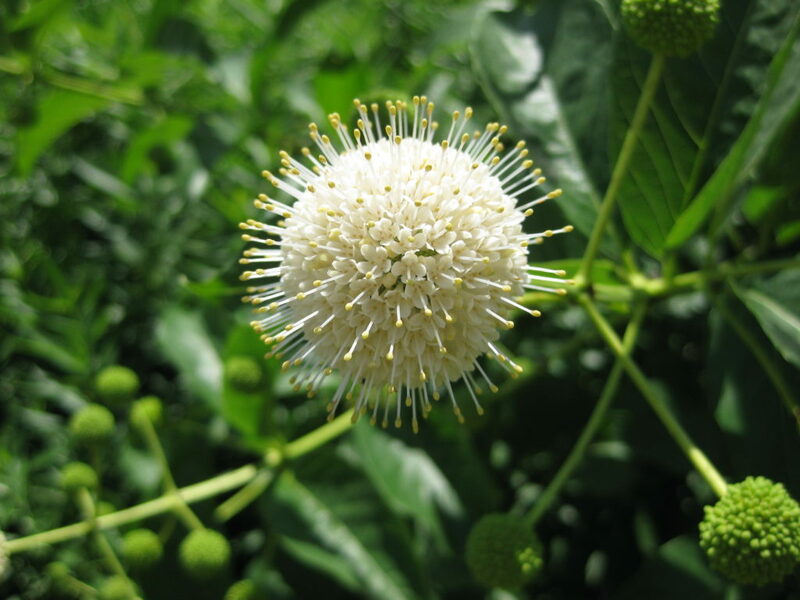 There are six other species of Cephalanthus although Cephalanthus occidentalis is native to a wide range of the Eastern U.S. and Midwest (Z5). 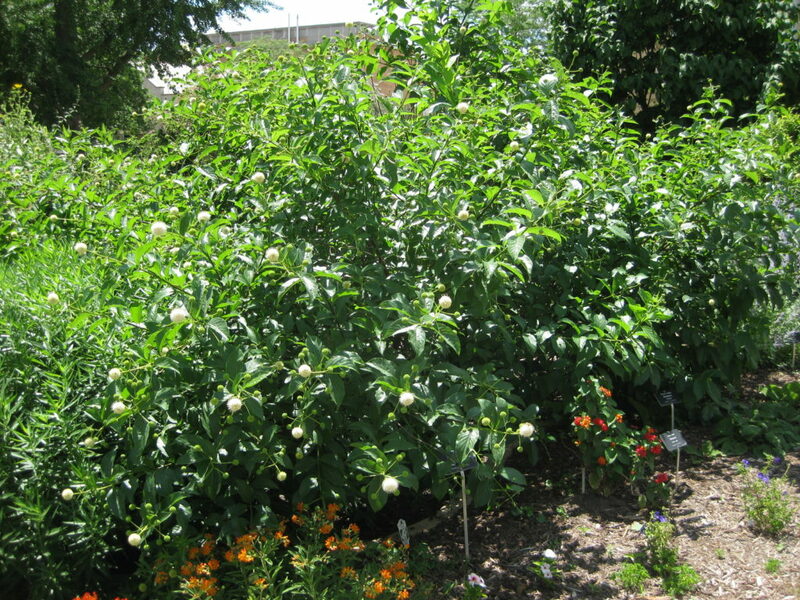 This shrub get 6-12′ tall although larger specimens are not unknown. I normally observe this plant at about 6′-8′ in our area although there are some more compact varieties mentioned further below. The interesting flowers appear in June and really are quite fetching. 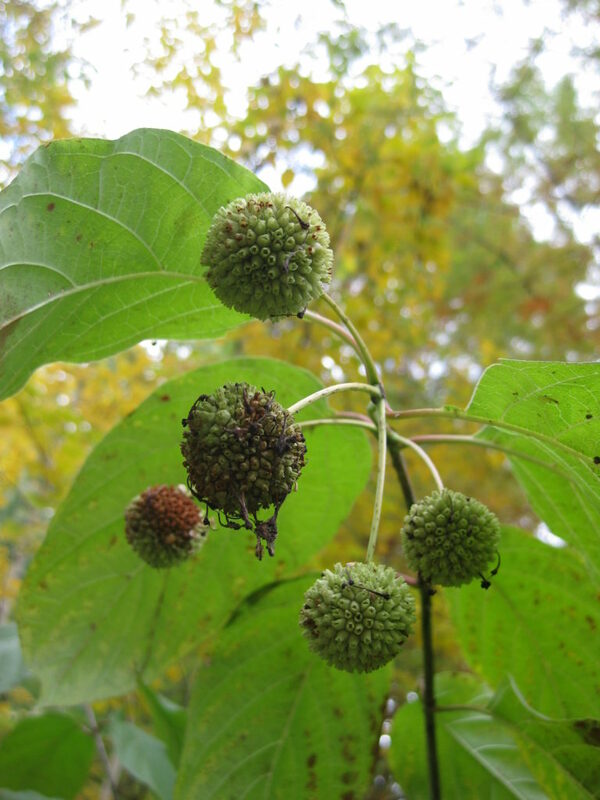 They emerge white or the lightest of pinks and hold their shape as they form in to fruiting structures (see further below). The flowers are also slightly fragrant and attract a wide range of wildlife including pollinators like bees and many species of butterflies. 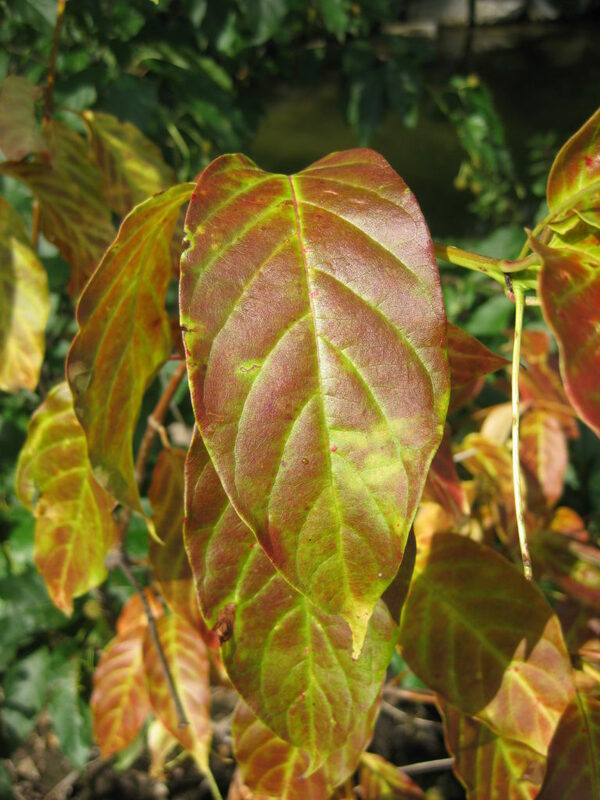 The large, glossy foliage is rarely affected by insects or diseases and can transition to a decent fall color too (see bottom photo). 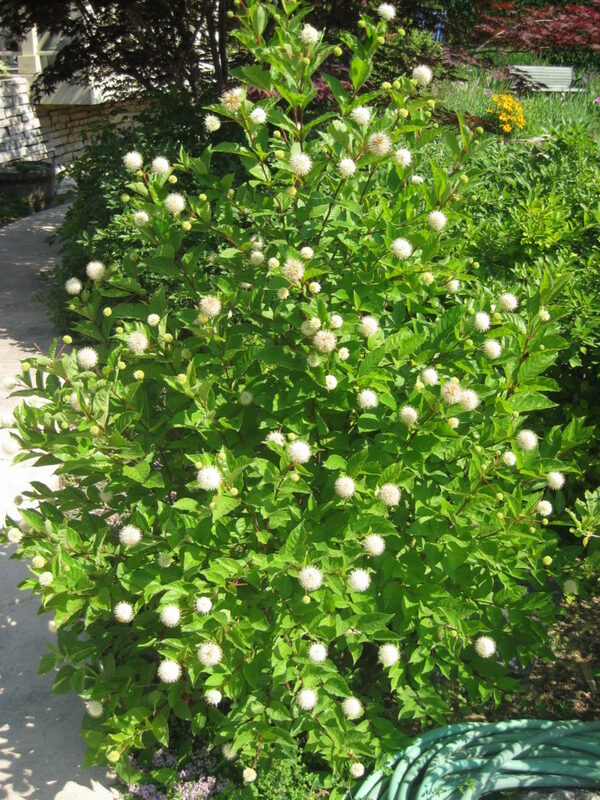 This shrub is also deer resistant and rarely bothered. 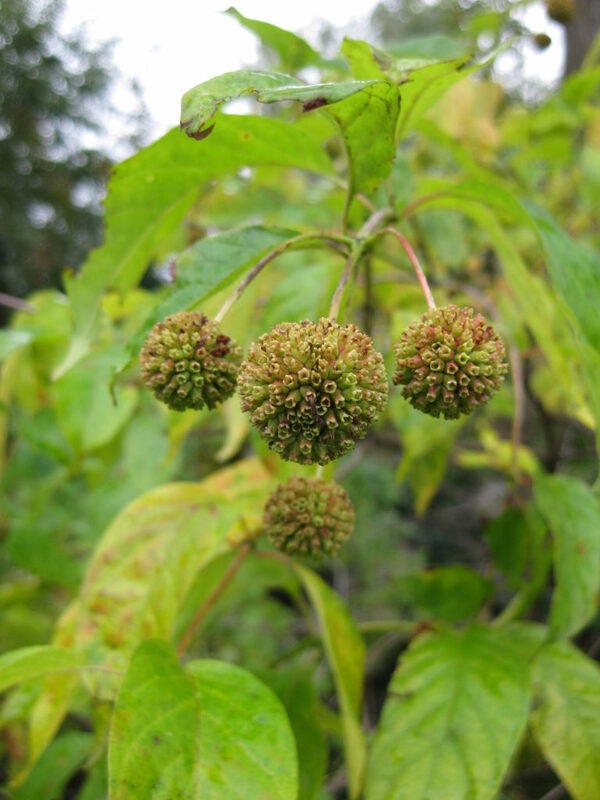 Positioned in full sun or part sun, this distant member of the coffee family (Rubiaceae) will thrive in our climate but does not exhibit drought tolerance. Don’t let it get thirsty! 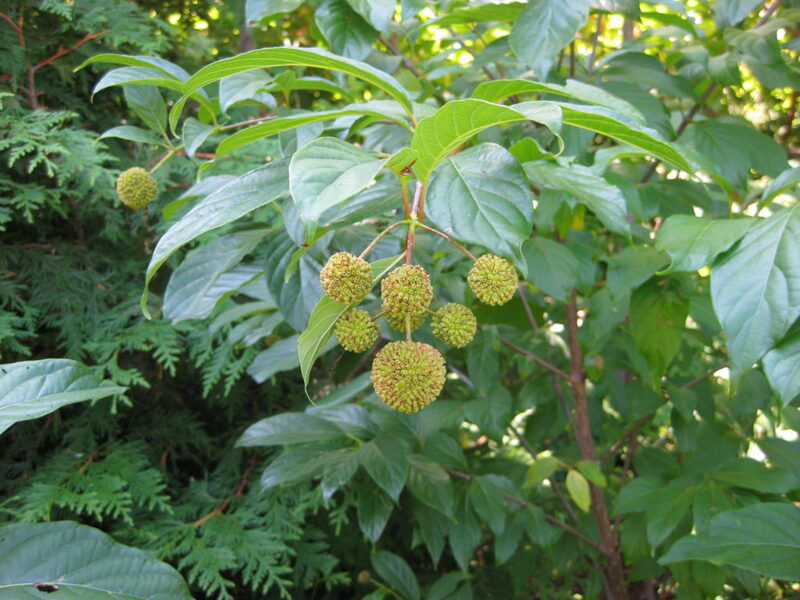 There is a variety called ‘Sputnik’ which seems to not vary much from the traditional species. 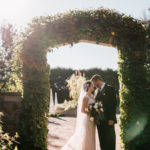 However, the selection First Editions® Fiber Optics™ (‘Bailoptics’) from Bailey Nursery only gets 6′ x6′ and the selection Sugar Shack® (SMCOSS) from Proven Winners® is listed at 4’x4′. This is a tough, durable plant that offers form, function, wildlife value, potential in damp locations and is also very beautiful. Check it out!